Some of you might know we’ve been planning this internal hack event for some time now. We’ve had some rough moments putting together all the pieces for a real hack event like this, we’ve been through thick and thin but what the heck, a couple of RedBulls later and we’re here to tell the story and oh boy, this is one hack of a story! Have you ever ordered lunch for you and your office mates? If so, then you know this is no easy task and will most likely gives you headaches and have you paying more on occasions. Every single person wants a different dish, most likely from another catering company. FBAM is the tool you need, it doesn’t have a catchy name, but it does solve this very problem: it will take all the pain from organizing office meal orders away. Assisted by a Yahoo! 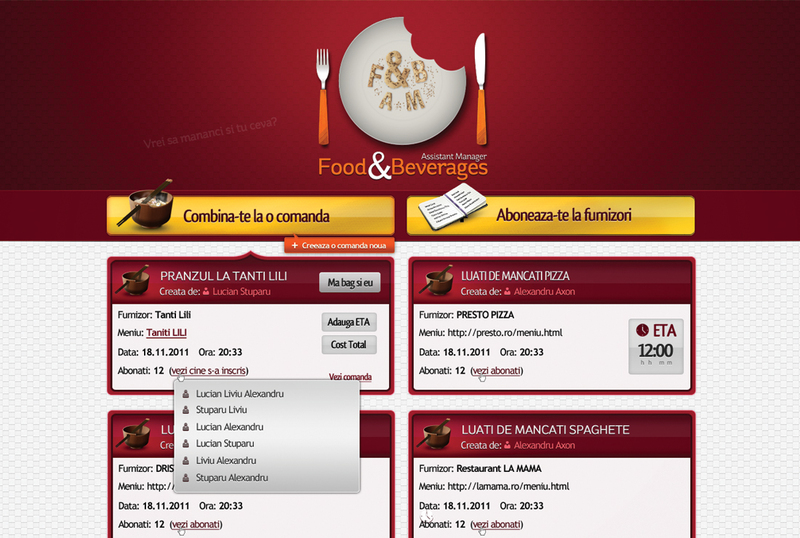 Messenger chat-bot, providing easy and handy communication, FBAM is the web app for managing lunch time. To be honest, this is just FBAM 1.0 as Gabi, Ionut, Andrei and Lucian (aka Mancaciosii Team) have great plans with it. Are you in a mood for pizza? Or a steak? Or you’d rather prefer a salad? Write “+list” in your Yahoo Messenger or login to FBAM and see what orders are open, from what supplier and just add yours. Nothing to please you or to satisfy your appetite? Open another order, but be careful, once you open, you will have to also manage it 🙂 Contact the supplier, order, add the ETA (or estimated time of arrival) in FBAM and now everyone knows when lunch will be served. Bon appétit! A good meal is a mix of spices so is FBAM: a mix of technologies and libraries: PHP, Zend Framework, NodeJs, Yahoo Messenger, CSS3, HTML5. Sounds tasty, isn’t it? We do love challenges and although we’re highly competitive, we do not encourage violence. EuroFight comes from the future. It is that new shinny non-lethal weapon that everyone will want to carry. 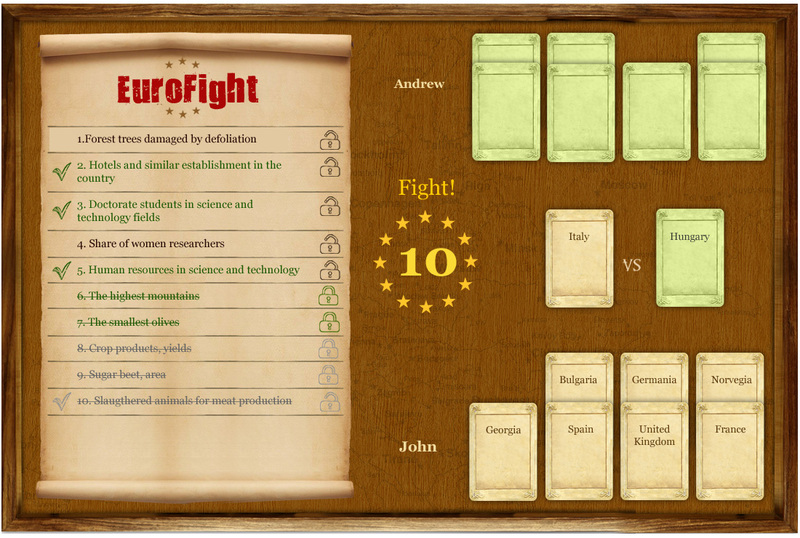 Obviously EuroFight is a game, but Nicu, Cristi, Marius, Bogdan and Ramona (aka Gamesters team) found the perfect weapons for the first e-WW and give you the chance to win a fair battle: the one with better EU statistics knowledge wins. I’d say that’s politically correct! The two player game starts with sixteen countries you can select to fight with. In each round a player selects a country and for 20 seconds may choose 3 statistics and block other 2 for the opponent. EuroFight analyzes responses and decides who’s better in statistics and reward the smart player with oh so precious points. To set up a perfect battle field, the Gamesters used: HTML5, CSS3, NodeJs, Zend Framework and a lot of good vibes. Sing-a-Pic – The Big Winner! 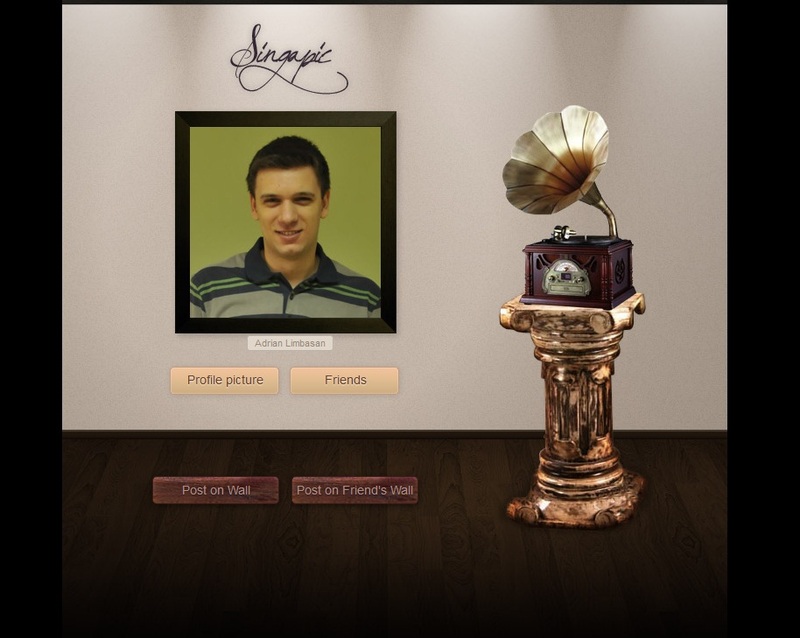 No, really, this actually sings your pic! Well, if you don’t know how to do that, wait until you see this, ‘cause The Horde team will make you an offer you can’t refuse. Adina, Tiberiu and the two Vlads have worked on an app that takes a picture of your choice and delivers a unique song based on that image. Is this cool, or what? What the app does is to generate an audio file corresponding to relevant image features – such as colors or number of objects – using a Java image analysis library (ImageJ to be more exact) and a midi manipulation tool written in PHP. Remember: a picture is worth a thousand words – imagine what happens when the words become musical notes! If it’s gonna work out the way I see it, this is the new art, trust me, and it’s called musical pictures. I am off looking for interesting pictures to listen to, k thx bye! A friend in need is a friend indeed – this could be the motto of the Nord Blanc team. Think about those moments when you could use a pat on your back or at least someone to whisper you “don’t forget to…”. 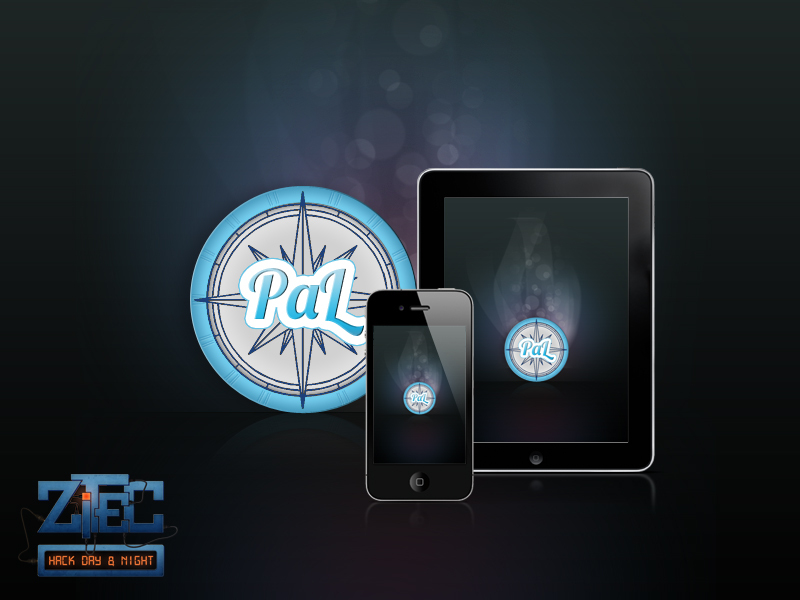 Oh, well, Laura, Florin and Silviu, with their powers combined, have created THE PAL! It’s an app that allows you to set reminders for what you need to buy, where you need to go or what you have to do in a specific place. For example, if you need to buy groceries, but you’re not sure when or where, browse the city map and set a reminder on your phone for a specific supermarket you might run into at some point of the day. When you reach a certain distance from the place you’ve picked, you’ll get a message, notifying you that you could buy your groceries from supermarket X and how far it is. Better yet, just tell PAL to let you know when any gas-station or book-store is nearby. The PAL is not going to force close on you! PAL was brought to this world by his parents, Python (API platform) and Objective C (the client application platform) and was nurtured by 3 good fairies: SQL Lite, Map Kit and Google Places. Now, in the early hours of his existence is determined to prove himself as the most fun and helpful of them all.